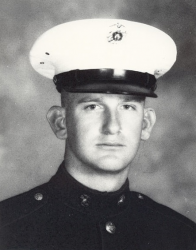 Lance Corporal James Donnie Howe (17 December 1948 - 6 May 1970) was a U.S. Marine who was posthumously awarded the Medal of Honor for his heroic actions in May 1970 during the Vietnam War. James Donnie Howe was born on 17 December 1948, at Six Mile, SC. He attended Six Mile and Pickens Elementary Schools; graduated from Cateeche Elementary School in Cateeche, SC, in June 1960; and then attended Liberty Junior High School in Liberty, SC, from September 1960 until June 1961. He was employed by Lloyd's Incorporated, a paint contractor, in Easley, SC, prior to enlisting in the U.S. Marine Corps Reserve on 31 October 1968, in Fort Jackson, SC. He was discharged from the Reserves on 29 December 1968 and enlisted in the regular Marine Corps the following day. Private Howe received recruit training with the Recruit Training Battalion, Marine Corps Recruit Depot, Parris Island, SC, and individual combat training with the 2nd Infantry Training Battalion, 1st Infantry Training Regiment, Camp Lejeune, NC. Promoted to Private First Class on 4 June 1969, Howe was transferred later that month to the Republic of Vietnam. He served as a rifleman and later, as a radio operator, with Company I, 3rd Battalion, 7th Marines, 1st Marine Division. 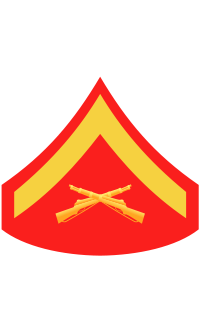 On 27 December 1969, he was promoted to Lance Corporal. In the early morning hours of 6 May 1970, while serving as a rifleman in operations against insurgent Communist aggression in Quang Nam Province, Republic of Vietnam, he was mortally wounded. On 15 September 1971, James Howe's family was presented with his Medal of Honor by Vice President Spiro T. Agnew, at the White House. James Donnie Howe's name is inscribed on Panel 11W - Line 113. On 19 May 2004, the South Carolina General Assembly passed Joint Resolution 5294 commending native South Carolinian James D. Howe for his Medal of Honor actions. Lance Corporal James Donnie Howe was killed in action on 6 May 1970. He is buried at Liberty Memorial Gardens in Liberty, Pickens County, SC.